At ORT UK, we are part of ORT’s global network empowering young people through life-changing education. I am very proud to be Chairman of ORT UK, a position I’ve held since January 2009. I decided to become involved with ORT because I believe education is so essential, particularly in these straitened times. ORT helps young Jewish people to learn skills to become self-sufficient and secure their future livelihoods. I don’t take my children’s education or future for granted, and, as the Jewish people are a worldwide family, I also don’t take for granted the education and livelihood of our students in Israel, the Former Soviet Union, Latin America and other countries around the world. I hope you enjoy browsing our website. Having spent time with hundreds of IT Directors, working on their technology strategies, I believe that I can apply my knowledge to the next generation and even re-educate people on how to use IT to better enhance their lives and careers. Education in certain parts of the world is the only path to follow to counteract a vicious circle with no way out. ORT UK gives me the opportunity to make a difference; it’s a fantastic charity with a long heritage in education. My personal and philanthropic experience has powerfully demonstrated to me that education is the cornerstone of empowerment of the individual. It is also central to the Jewish ethos. Ort is a leader in this sphere, and with its deeply committed, passionate and experienced professionals, successfully delivers an unparalleled educational and training resource to communities around the world. It is a privilege, and humbling, to be able to contribute to such a wonderful endeavour. Most of my professional life has been spent in Jewish education, including time spent as a Headteacher of two Jewish schools and also founder and first co-ordinator of Limmud. I first came across ORT in my role as a teacher of modern Jewish history, when I became fascinated by its pioneering work around vocational education in the 19th century. Indeed, every time I walk into the building in Camden Town, I am struck by those wonderful photographs with their peculiar juxtaposition of monochrome images that immediately say the past, while the faces within are of generations proudly looking forward to brave new futures. I had the opportunity to be involved with ORT in the development of cutting edge projects, when I was Headteacher of King Solomon High School. I was also exposed to their international work through seminars and training. Most recently I have seen the impact ORT’s ideas and expertise can bring to European Jewish educators and schools, through my work in running seminars for European Jewish educators. It seems to me that ORT, more than any other charity, continues to build a practical vision of the Jewish future across the Jewish world. I now work outside the Jewish community and was looking for some genuinely positive ways to still stay involved and offer something and I am honoured and delighted that this can be within the framework of ORT UK. I hope I can now play my small part in contributing to the work they support and the power and depth of change it brings to shape so many young Jewish futures. Growing up in Israel I remember that only the best and brightest got to go to an ORT school there – and since apparently I wasn’t one of them, I’m glad I managed to circumvent the system and join ORT in a different capacity, albeit several decades later. It is a privilege to be part of an organisation that helps people define their own future and whose top three priorities have always been “Education, Education, Education” – nothing can be more important. ORT has been a major part of my life for more than 40 years and ORT is a charity whose aims are as relevant today as they were not only in 1980 but in 1880. To help others to help themselves – quietly and effectively ensuring that they no longer need to rely on charity is the ultimate level of giving. What better reward than be a part of this mission. 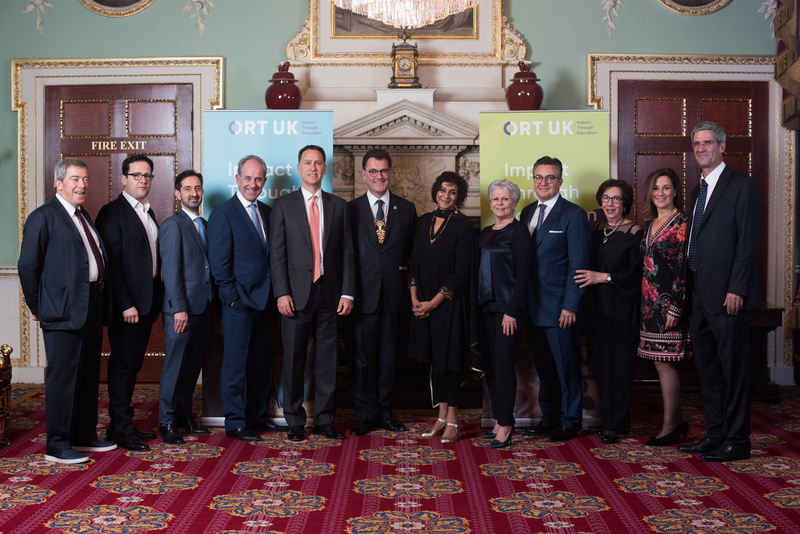 As one of the newest trustees, I am proud and delighted to bring my communications experience to help generate greater, much-deserved recognition for ORT UK. I have worked with an education charity in the past so I know that making a life-changing difference to young people is one of the most rewarding ways to contribute. Being able to do that as part of ORT, which has operated for so long and in such diverse communities, is inspiring. ORT’s primary objective is to enhance people’s lives through education and for this to be the foundation for their future. The heritage of ORT started from dealing with education in a very different world to the one in which we live today and as a charity it has had to adapt to an ever changing environment in which education is as crucial a factor today as was when the charity was founded. Being able to play a role in the future development of this charity is hugely important and I am looking forward to the future with this wonderful organisation. ORT gives those most in need, opportunities to improve their lives through education. Having such a clear objective was immensely attractive to me and why I wanted to become a trustee. Many of us frequently interrogate ourselves about our own children’s education: are they at the best school for them? how good are their teachers? are they doing enough after school activities? are they doing too many after school activities? ORT is rare because it allows us to ask these questions – and most importantly provide meaningful answers – to those who otherwise have few choices. 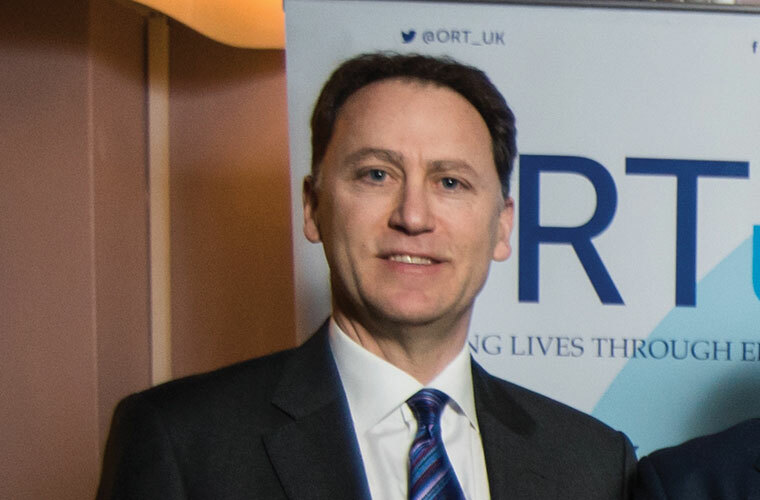 As a new trustee I look forward to working with ORT to help it continue to grow and flourish and keep caring about the education of others and ensuring they have the opportunities they deserve. I grew up in a very heterogenic neighbourhood, with quite a lot disadvantaged families. I have seen kids and youths who grew up and turned to be unemployed or criminals. It all started with their basic lack of decent education. I am a strong believer that with creating more opportunities for better education to the less fortunate families, we can improve our society. I am very proud to be a member of the ORT family. To me, there is nothing more rewarding than being part of a team which contribute to educating people and equip them with positive social values and life skills. Hopefully, they will become better individuals, independent and supporting members of their family and community. It is amazing to think that over a decade has rushed by since I joined the Friends of ORT Committee as a favour to the then resigning President. I became Chair almost immediately to fill the gap and having begged my friend Susan Caplan to help me with this task, she thankfully agreed and so we became Co-Chairs from 2002 to 2012. I became a Trustee of ORT UK shortly thereafter. Over the years my work with ORT and my understanding of the huge importance of our work has grown as I visited our ORT Schools and attended ORT meetings worldwide. Educating our Jewish children is vital for their future success to enable them and their families to become independent and it is indeed very rewarding to meet these young people from all corners of the world and see and feel their gratitude at the opportunity they have been afforded. I do enjoy being part of the ORT Family and witnessing the difference ORT continues to make.